It had not been a particularly great week. I was running OK, but just not in marathon shape and finally pulled the plug on running Chicago. Bummer. My wife was off working in Orlando all week and her cats were pissed off at me, thinking I had something to do with her absence. Breaking Bad, Jesse Pinkman and Walter White were in the death throes. Work was…work. I badly needed a shake up to get back on track. That tonic arrived Saturday morning – the Cedar Park Invitational. High school cross country is exactly what I needed to jolt me out of the dumps. Cross country is serious stuff in Cedar Park, but I wasn’t prepared for just how a big deal it is. By the time I got up there, the huge parking lots were already overflowing (cars and school busses were parked every which way on nearby fields and school grass grounds), there were long lines at the bathroom and refreshment stands and most astonishing of all, the grandstands at the finish were packed. The CPHS marching band even played. Spectators were all over the place and team flags and tents flew on every field. The starting line was lined with parents and friends and, on much of the course, the hordes of runners had to pass through a raucous cordon like it was the Boston Marathon. The kids of several running friends of mine were running in the various races and they gave me someone to cheer for on this unseasonably brisk morning which gave the meet the feel of fall – which is what cross-country is all about. A long-time training partner was seeing her dream realized: Her son was running – and running well. This was only his first season on varsity, but his 5-K PR was already faster than her’s. This was his first high level meet and, as he came by us at the 1-mile mark, we screamed all sorts of encouraging things, but he didn’t even notice us among the crowd. The field was so tightly bunched, he never did find his pace and ran a few seconds slower than his prior meets this season. His mother was more concerned than he was. Still, this was high school cross-country at its best. Here, it mattered to the point that some schools brought actual cheerleaders. Here, these runners were stars for a day and not just skinny nerds who couldn’t play other sports like when I ran in high school. As committed runners, we know what running brings to our lives. But what was energizing to me was seeing first hand our running’s future which has never looked brighter. Just seeing these kids buzzing on their first endorphin rush gave me the slap upside the head I so badly needed. 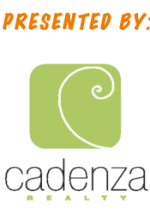 O Are you following us on Twitter? 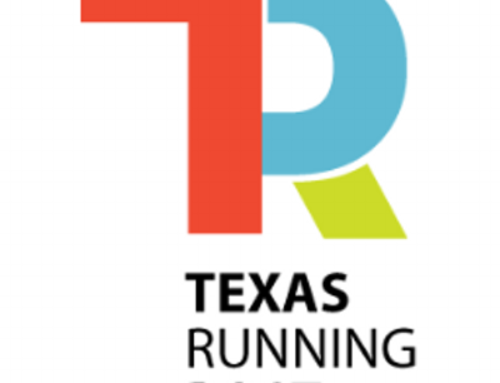 Make sure to check us out and twitter.com/TXRunningPost and add us to your follower list! O Did you get your Boston Marathon acceptance notice yet? If not, you’re out of luck. Boston received more than 25,000 applications for the 2014 race and if you ran 98 seconds faster than your qualifier and got your application in on time, you got in. 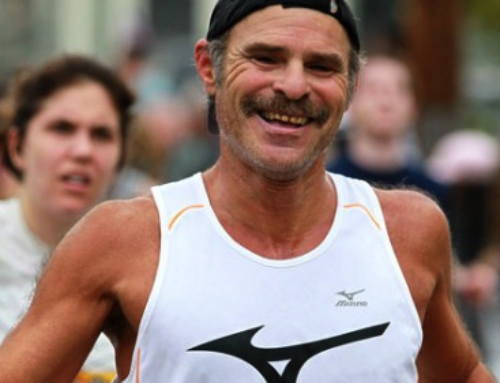 The 118th Boston on April 21 will have about 34,000 entrants – about 9000 more than normal. And a zillion Texans. O The family of Krystle Campbell, who was killed in the Boston Marathon bombings last April, dedicated a gazebo in her memory. The Krystle M. Campbell Memorial Gazebo on Spectacle Island, a couple of miles offshore in Boston Harbor, was unveiled on Tuesday morning. Campbell, 29, who was from Medford, Massachusetts, was a spectator at the marathon when she was one of three people killed in the explosions that rocked the finish line. O Running USA released its annual rankings of the top road races in the U.S. The most popular road-race distance remains the half marathon and 43 of the top 100 timed races in the country are half marathons with the OneAmerica 500 Festival (the Mini Indy) in Indianapolis the largest half with 34,068 runners. The largest timed race in the country is the Peachtree Road Race in Atlanta with 58,043 and the largest marathon for 2012 was Chicago with 37,475 runners. The largest race in Texas (28 th overall) remains San Antonio’s Rock ‘n’ Roll Half Marathon with 16,516. Rock ‘n’ Roll Dallas is 65th with 11,340 and the Austin Half Marathon is 78th with 10,381. The Capitol 10,000 (timed only) is ranked 82nd with 9,930 entrants. Among US marathons, Houston ranks ninth (7614), Metro PCS Dallas is 18th (4874), Austin is 24th (3898) and San Antonio is 34th (3112). O Chevron re-upped as the title title of the Houston Marathon, extending its partnership with Houston through 2018. This year’s race will be January 19 th (sorry, sold out once again) and it will mark the ninth year Chevron has been the title sponsor. Houston will also reveal a new course in this year’s race with wider streets. O Leo (The Lion) Manzano concluded his season last Sunday at the 5 th Avenue Mile in New York City. And even though Leo ran 3:56, he was way back in 11th in the race which was won by Nick Willis of New Zealand in 3:52.1. O Betzy Jimenez, the former UT All American now in med school at UTHSCSA, placed 17th in the USA 5-K Road Champs in Providence, Rhode Island. Jimenez ran 16:34 in the race won by Molly Huddle in 15:29. O Timo Sheard, the Cedar Park HS coach who has made cross-country such a big thing, has taken his boys team on quite a road trip. The entire team is trucking up to Minneapolis for this weekend’s Roy Griak Invitational at the University of Minnesota. O A bunch of Rogue runners are up at Lake Tahoe in California this weekend for the Tahoe Triple. Tory Nickel, Cheryl Tulkoff, Michael Wedel and Carolyn Mangold are doing three marathons in three days around the Lake. Three others – Ashley Rollins, Michael Tulkoff and Becky Stanford – are doing three half marathons in three days. For Mangold, this is her fourth straight year of running the Tahoe Triple. O Our man in San Antonio – Paul Baltutis – reports that the city is shutting down a 2.2-mile stretch of Broadway on Sunday morning for a new event called Siclovia. From 10-3 p.m., you can walk, run, skateboard or cycle down Broadway from Alamo Plaza to Brackenridge Park at Mulberry. There will also be a 5-K as well as music, food booths and exercise demos. For more info, go to www.ymcasatx.org/siclovia. For 5-K info, go to www.iaapweb.com. O The UT men’s and women’s teams will be in action tomorrow (Friday) night as they host the Texas Invitational at Old Settlers Park in Round Rock. The women’s 5-K starts at 6:15, while the men’s 8-K takes off at 6:50 p.m. If you’re planning to go, both events will start and finish at the Lakeview Pavilion way back in the park. O What I’m listening to this morning: “Made Up Mind” by the Tedeschi Trucks Band. Have any news for me? If you have something, send it to wish@texasrunningpost.com.